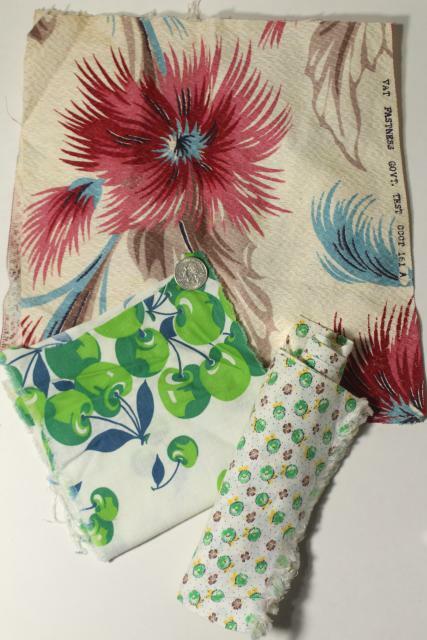 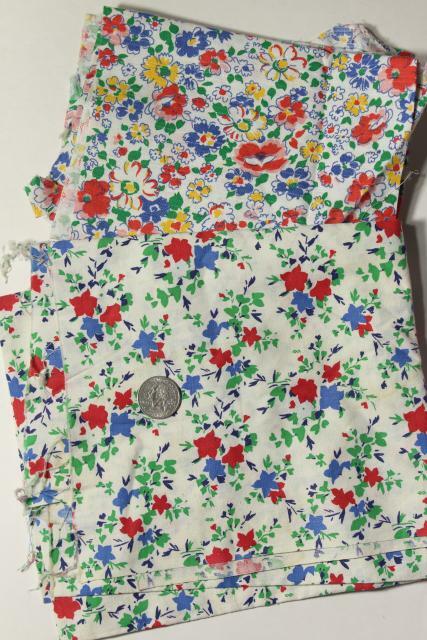 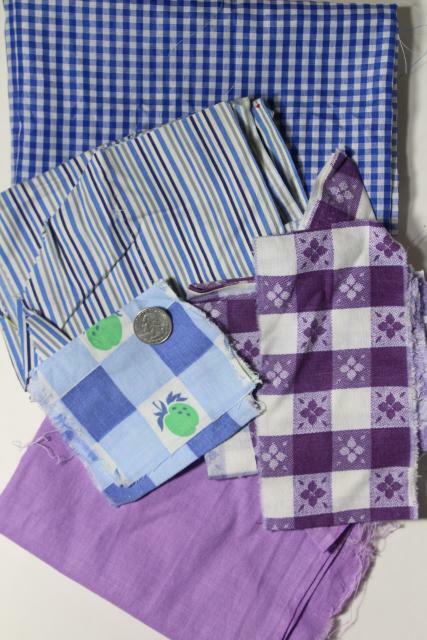 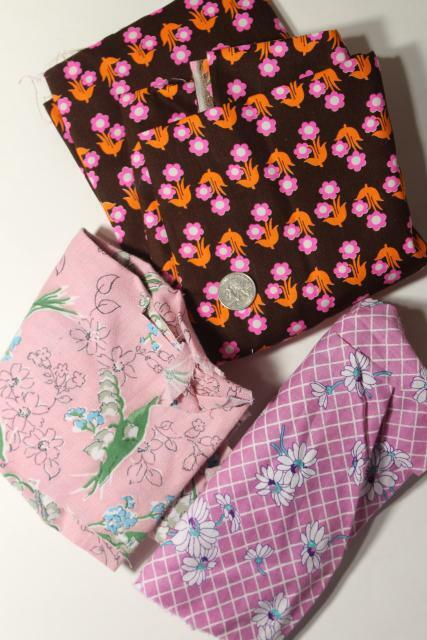 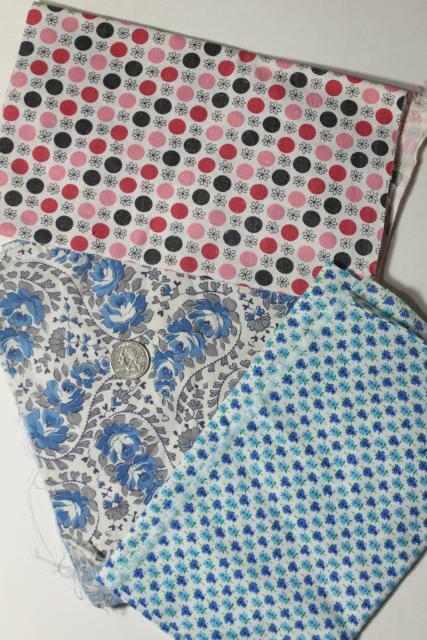 Large lot of authentic vintage 1930s, 40s, 50s cotton scrap fabrics nice for quilting, doll clothes, applique etc.. 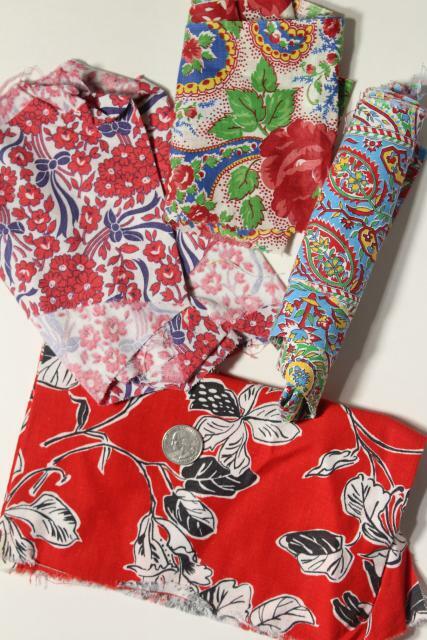 There's more than 50 different prints in this lot. 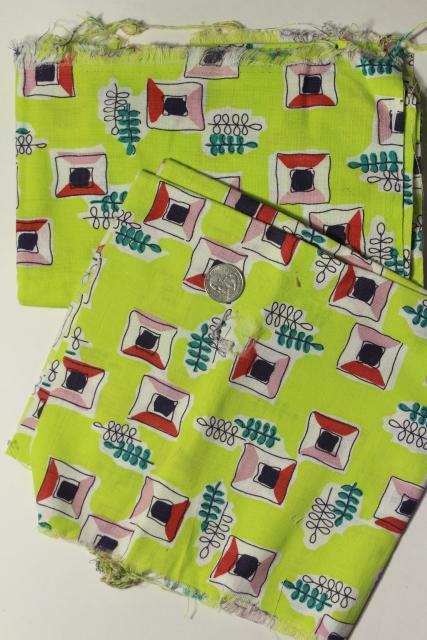 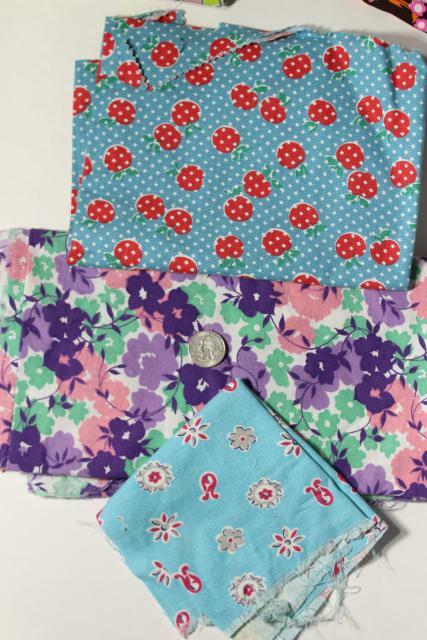 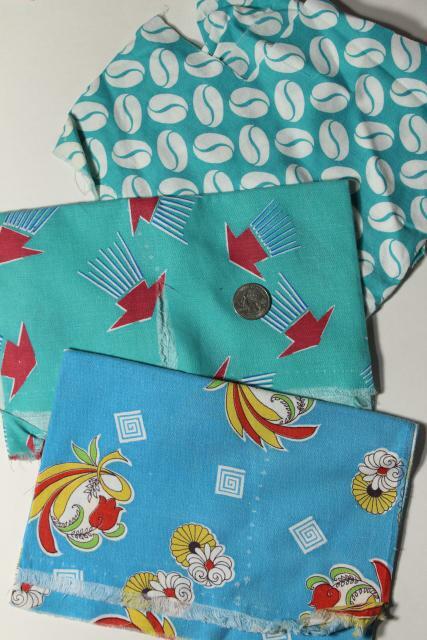 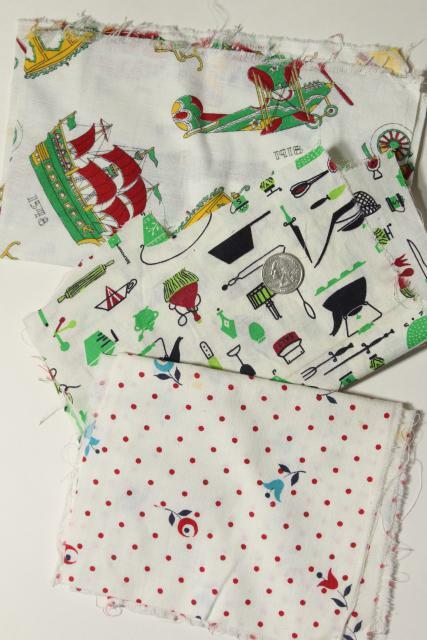 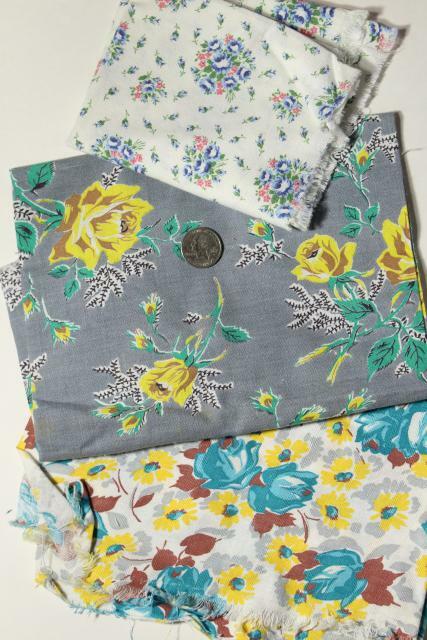 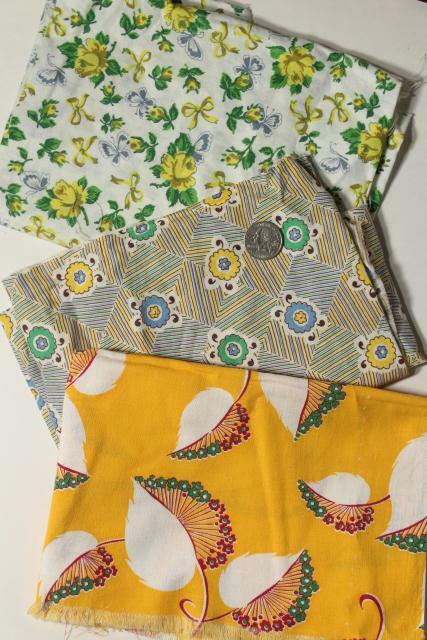 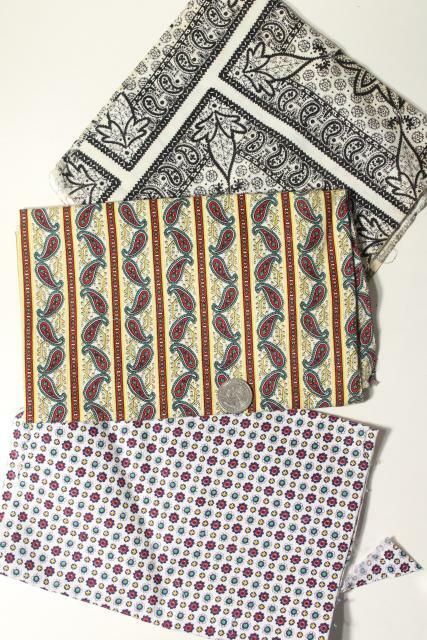 These are mostly a quarter yard size or smaller, not full width or full size fat quarters. 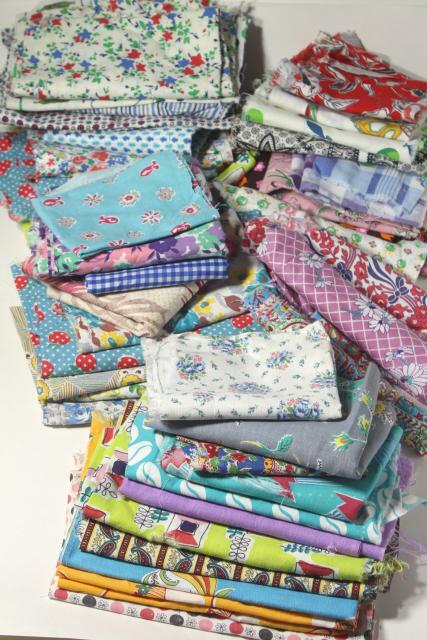 There's no skinny little stringy scraps, it's good fabric for blocks, hexies, yoyos.